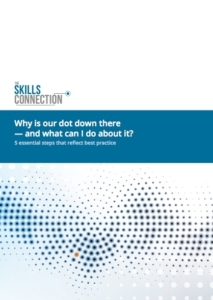 Why is our dot down there – and what can I do about it? Why is our dot down there — and what can I do about it? Are you in an MQ or Wave but in the wrong place? If a Magic Quadrant (MQ) or Wave assessment has left you feeling puzzled, frustrated or indignant, then you’ve come to the right place for expert help. Discover how to significantly improve the outcome for your company. We’ll gladly share valuable insights and best practice advice, based on years of first-hand experience. You’ll find it illuminating, surprising and perhaps shocking in places. What essential steps must you follow to change your assessment for the better? This white paper crystallizes exactly what you need to know. To receive your free copy of the white paper, please fill out the form on the right. We’ll reveal why assessments go badly wrong — and what you can do to mitigate the risks and improve your fortunes. Our experts will take you through the process, examine contentious issues and reveal how to overcome them. To find out how we can tailor an analyst engagement program to suit your needs, contact us now.